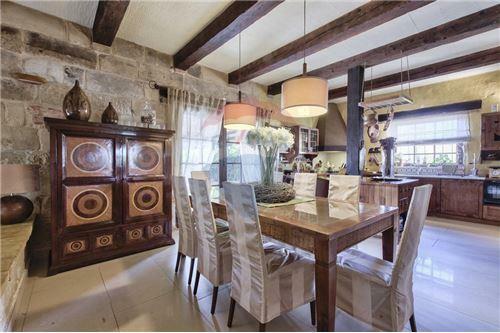 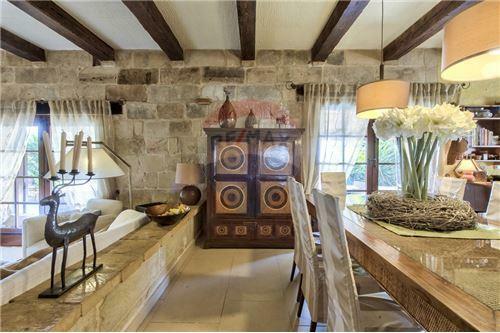 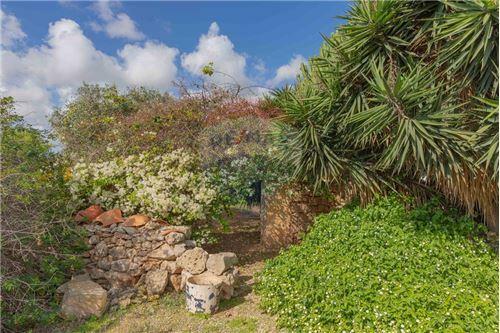 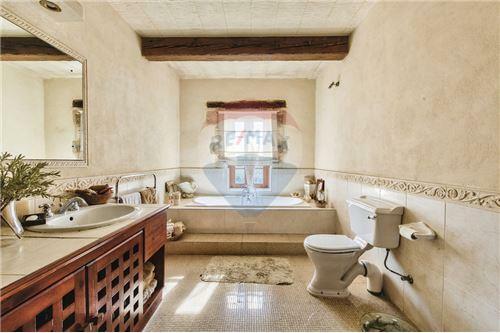 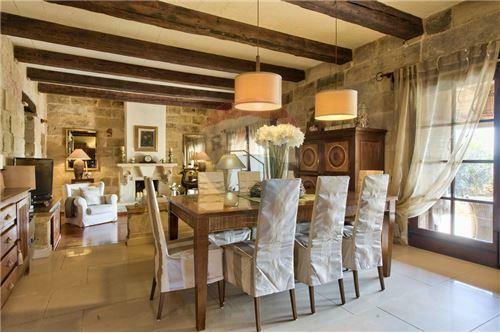 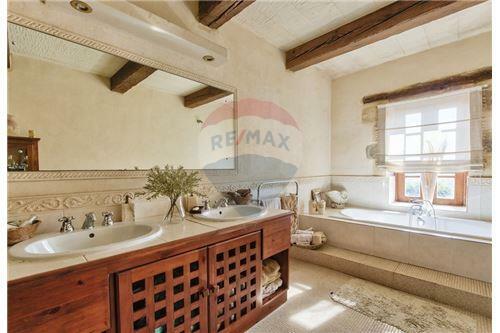 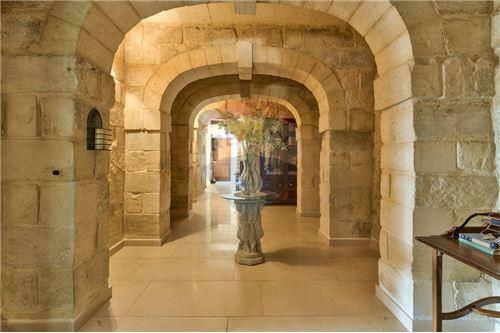 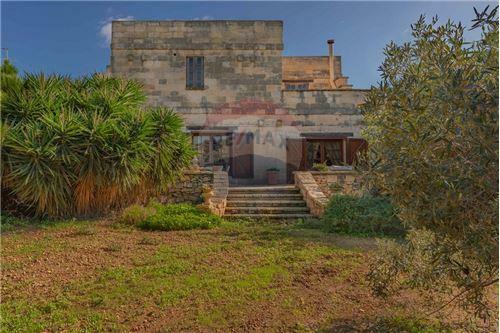 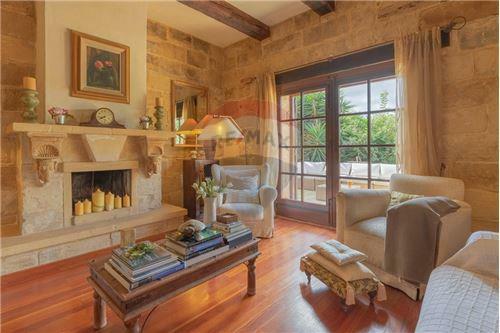 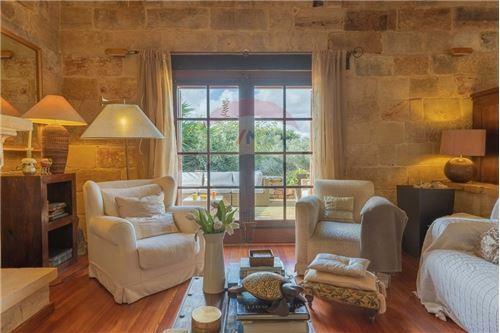 MARSASCALA - Highly finished, beautiful farmhouse. 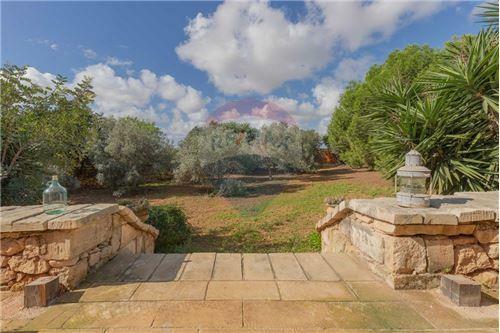 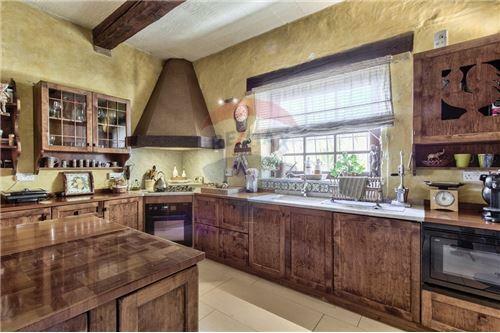 This highly finished, beautiful farmhouse on a footprint of 1350sqm is situated in the open countryside with substantial grounds enjoying total peace and privacy. 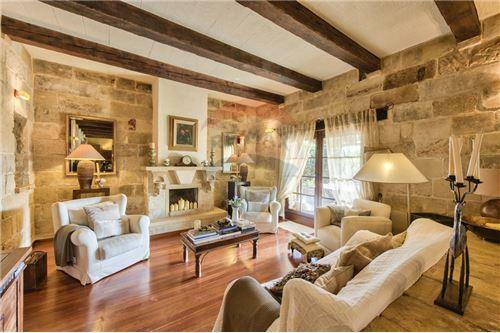 An imposing arched entrance hall leads onto a bright kitchen, dining and living room with a log fireplace. 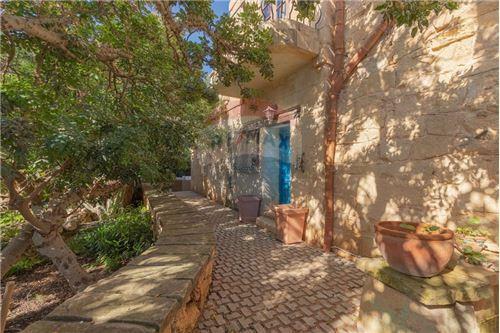 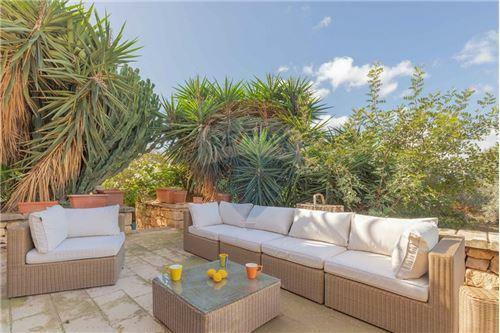 This large space leads onto a lovely patio with a barbecue area overlooking an 1,000sqm garden with various fruit and olive trees. 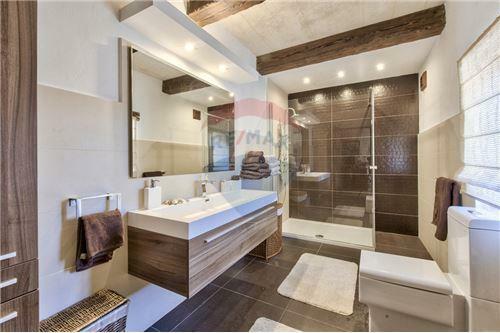 Permits are in hand for the construction of a large swimming pool. 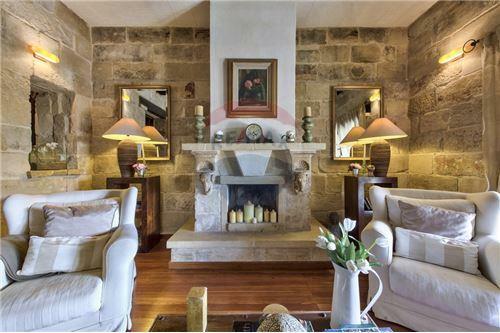 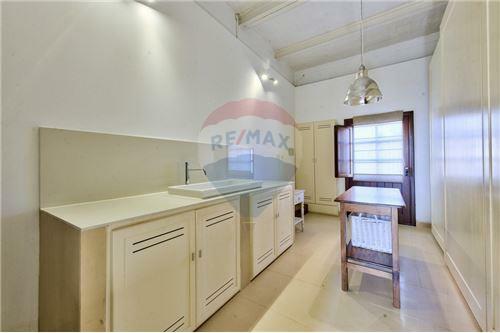 Upstairs one finds three large bedrooms, main with a private terrace, large bathroom and walk-in wardrobe. 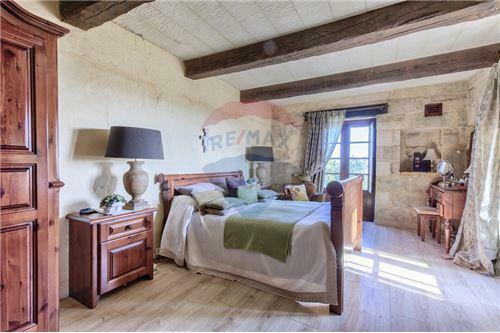 All bedrooms are well lit and enjoy stunning country views from the apertures and private terraces. 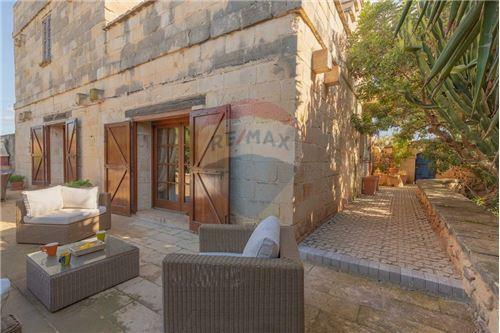 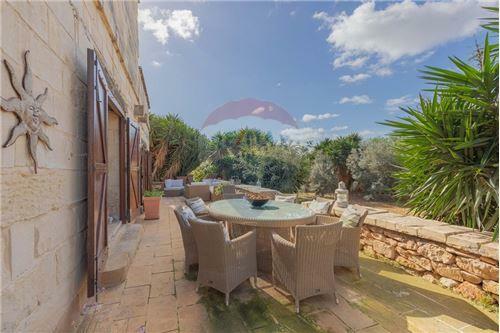 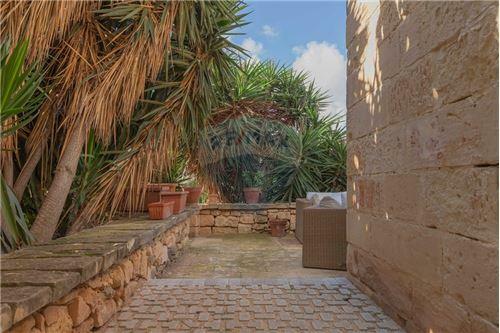 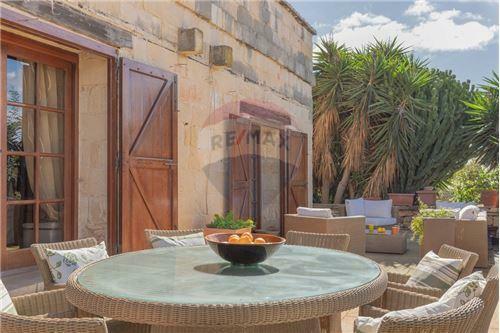 The roof also enjoys 360 degree views from Marsaxlokk to Mdina and beyond. 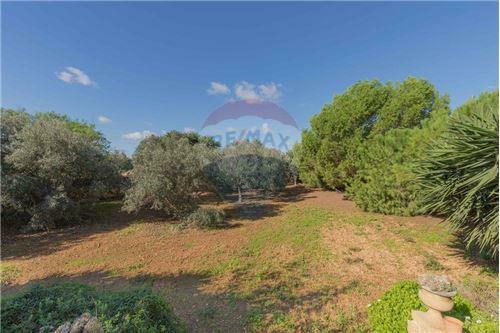 The beautifully landscaped grounds have two entrances, a large carport and an underground tool and storage room. 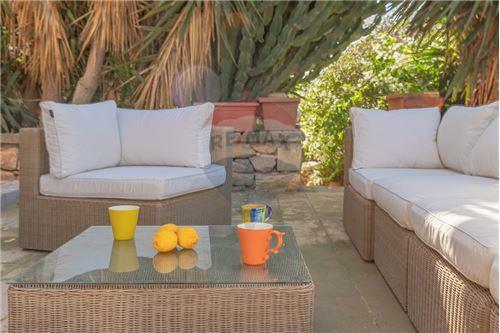 This is the perfect property for the discerning buyer looking for a beautiful home with great space for entertainment, being placed on the market at an exceptional price. 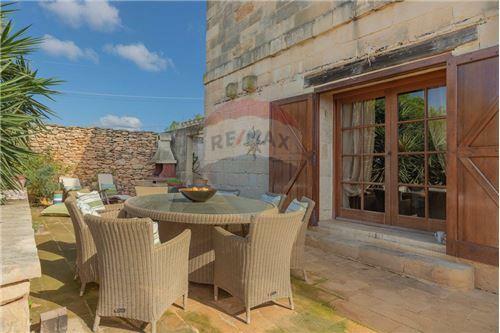 This highly finished, beautiful farmhouse on a footprint of 1350sqm is situated in the open countryside with substantial grounds enjoying total peace and privacy. 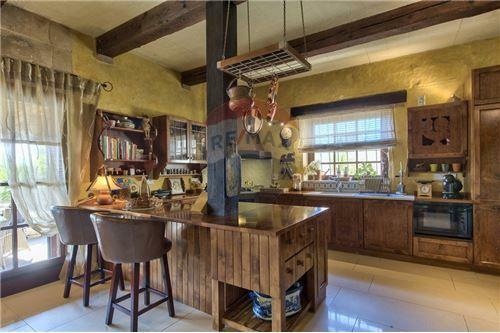 An imposing arched entrance hall leads onto a bright kitchen, dining and living room with a log fireplace. 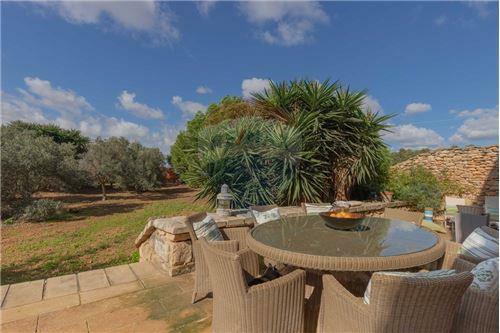 This large space leads onto a lovely patio with a barbecue area overlooking an 1,000sqm garden with various fruit and olive trees. 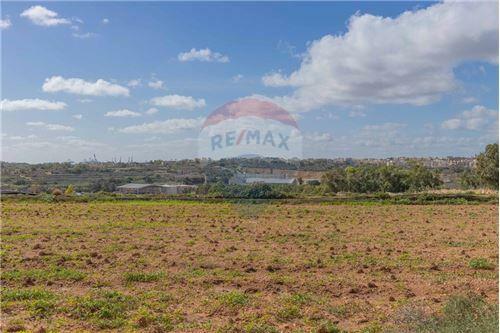 Permits are in hand for the construction of a large swimming pool. 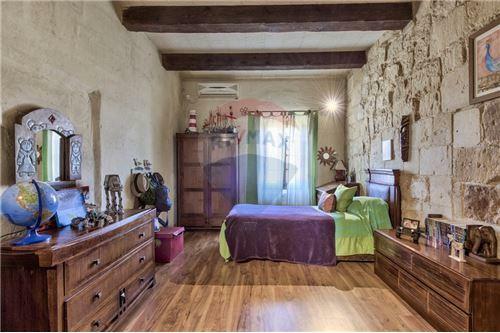 Upstairs one finds three large bedrooms, main with a private terrace, large bathroom and walk-in wardrobe. 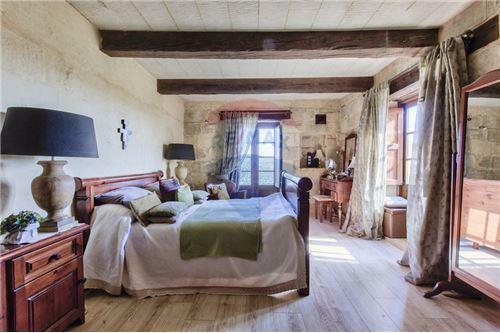 All bedrooms are well lit and enjoy stunning country views from the apertures and private terraces. 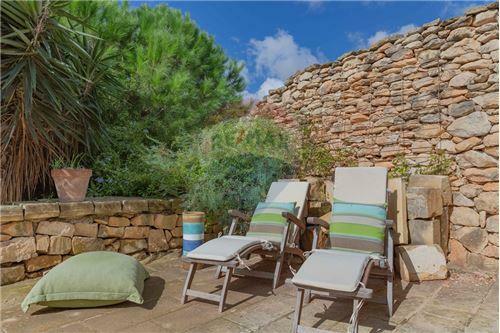 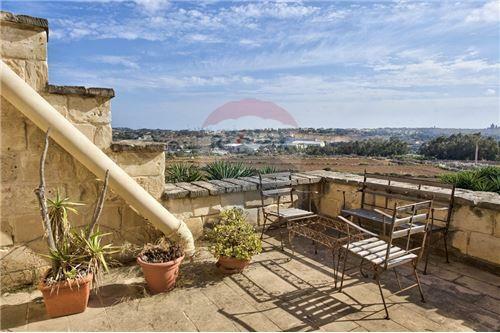 The roof also enjoys 360 degree views from Marsaxlokk to Mdina and beyond. 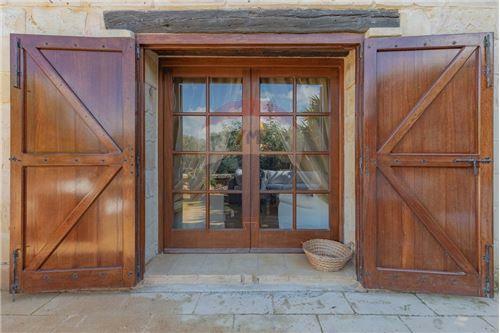 The beautifully landscaped grounds have two entrances, a large carport and an underground tool and storage room. 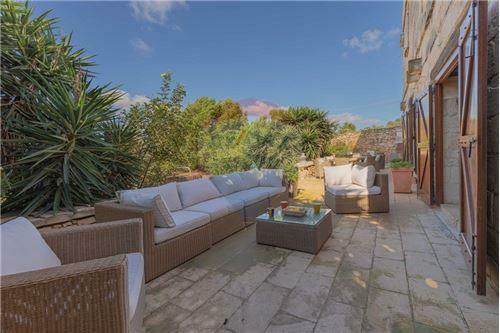 This is the perfect property for the discerning buyer looking for a beautiful home with great space for entertainment, being placed on the market at an exceptional price.